The name is in the design! A perfectly thoughtful gift to brighten up a playroom or bedroom. An on trend design that can all be personalised to incorporate any name. Charis' designs are initially drawn by hand, so no two commissions will be the same. There is also the option of adding a short message or full name at the bottom of the design. Please enter the name and text carefully, at checkout, and state if you would like the surfboard removed. Text will be copied directly, including capitals and punctuation. 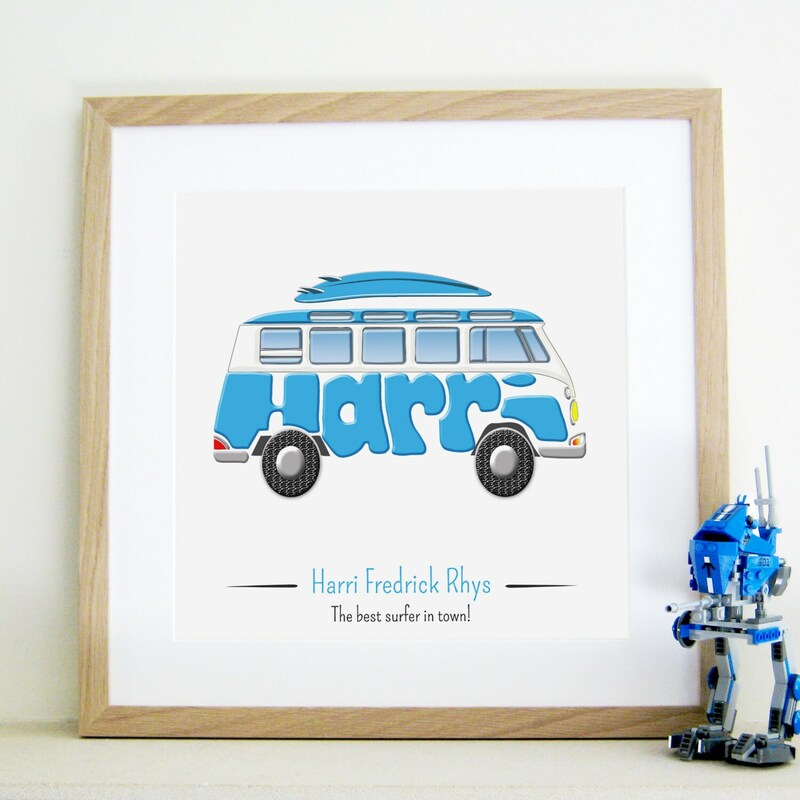 The Campervan designs are printed on 235gsm, Satin Photo Paper. The colours Charis uses are sharp and vibrant and stand the test of time, looking great on any wall! Fantastic gift for my nephew as a page boy. First print had the incorrect date put on but I contacted the seller and this was rectified straight away. Thank you.